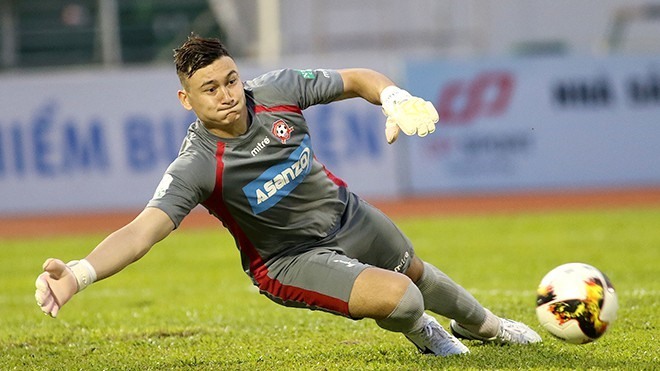 HÀ NỘI — Rookie Vietnamese goalkeeper Đặng Văn Lâm has set a record at the AFF Cup for keeping a clean sheet for 405 consecutive minutes. His defence was finally broken on December 2 during the team’s semi-final away leg in the Philippines after blocking allcomers during the group stage. Lâm beat the record of 399 minutes set by Trần Minh Quang at the Tiger Cup (former name of the AFF Cup) in 2000. 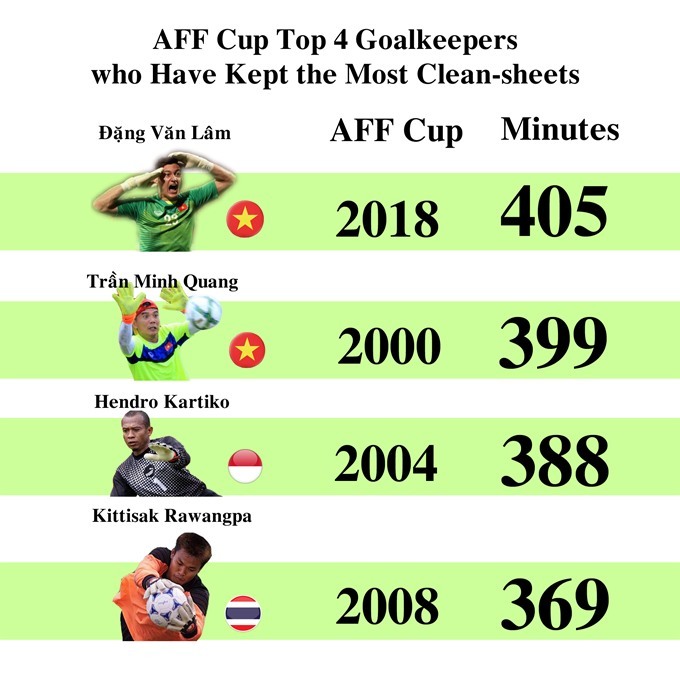 Hendro Kartiko of Indonesia in 2004 (388 minutes) and Kittisak Rawangpa of Thailand in (369 minutes) also managed to get through the group stages unscathed.